With an authentic handcrafted log design that captures the Western spirit of Steamboat, Panorama Lodge North offers sweeping views and luxurious accommodations in a spectacular setting. Perched on the southern shoulder of the Steamboat Ski Area, the 5 bedroom, 5 and a half bath Panorama Lodge North comfortably sleeps 14 people. Custom-built by Montana Log Homes of Steamboat Springs, Panorama Lodge North is one half of the duplex that comprises Panorama Grande, one of the largest and most luxurious vacation rentals in Steamboat Springs. 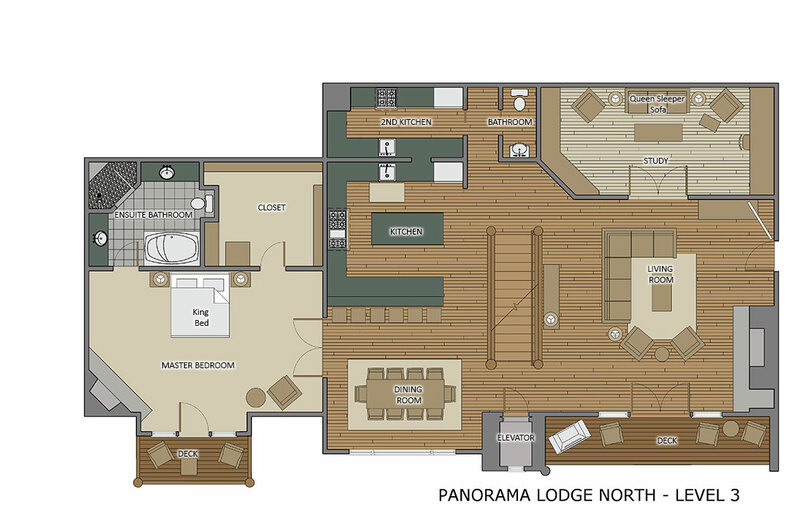 Upon stepping into Panorama Lodge North, your gaze is drawn to vaulted ceilings, exposed log beams and custom log staircases. A glass-enclosed elevator provides easy access to any of the three levels. The gourmet kitchen is a chef's dream featuring Wolf, Asko and Sub-Zero appliances including a professional gas range with hood. Exquisite touches include slab granite countertops and islands, designer lighting and an abundance of alder cabinets with under-cabinet illumination. The adjacent butler's pantry is like having a second kitchen with its additional stove, refrigerator, counter space and storage. The dining area offers exceptional views of the Yampa Valley. You'll relish the opportunity to entertain in the fabulous great room, which boasts a floor-to-ceiling stone fireplace with wood storage inset, French doors to the main balcony, and a high vaulted ceiling with exposed log beams. A private study includes built-in bookcases on both ends of the room. The beautiful master suite includes a cozy stone fireplace, high vaulted ceiling with ceiling fan, French doors lead to a private balcony, a walk-in closet, and a luxurious 5 piece master bath featuring intricate tile work, steam shower and oversized soaking tub. 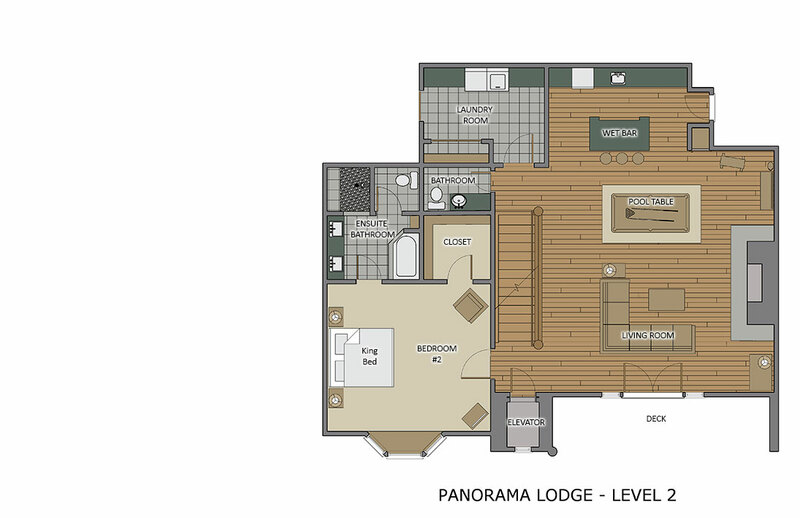 On the upper level there are 2 bedrooms with king bed and one with 2 full over full bunk beds. On the lower level there is a bedroom with a king bed and for additional guests there is a queen sleeper sofa in the den. Each bedroom has its own bathroom with plush towels and high-end toiletries. Gorgeous wood floors highlight the house, and a family room on the lower level features a stone fireplace and French doors leading to an additional balcony. The wet bar area includes a refrigerator, microwave and dishwasher, as well as a pool table. There is an outdoor hot tub beckons from the back yard to soothe any aches and pains. 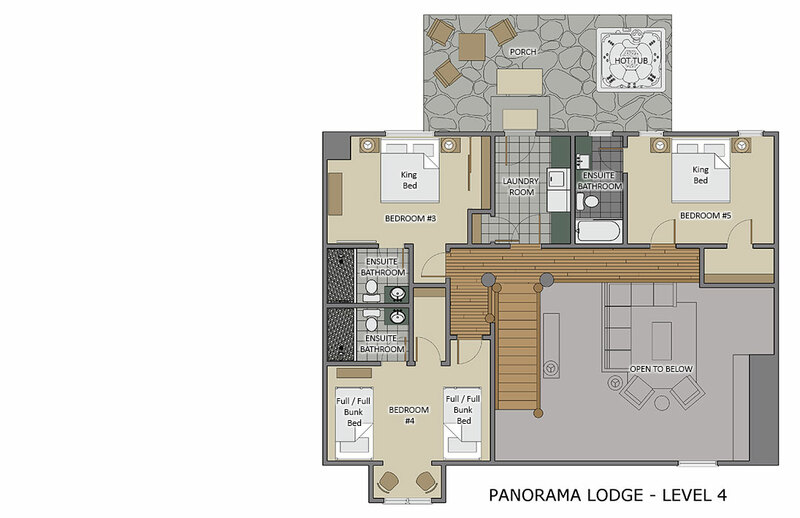 Located in the high-end Ski Trail Lane neighborhood among some of the finest homes in Steamboat Springs, a stay at Panorama Lodge North offers your group an incomparable blend of Western ambiance and total luxury - along with a convenient location and breathtaking sunset panoramas. 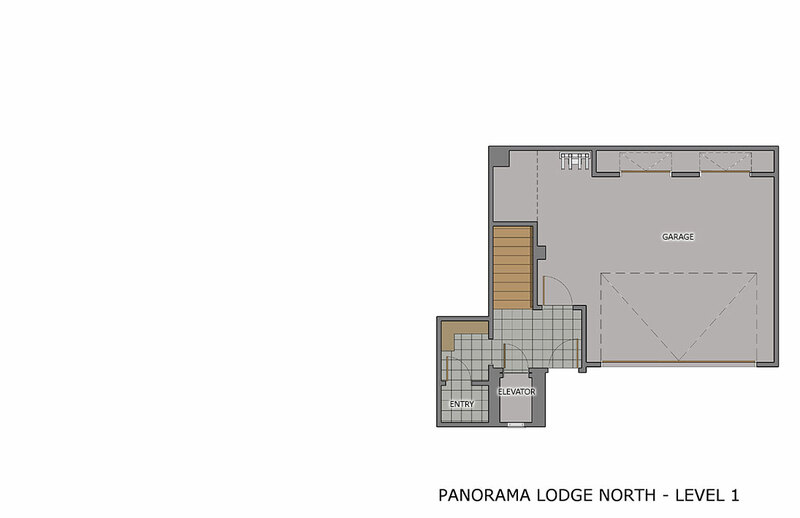 You are sure to cherish your Panorama Lodge North experience for years to come.